The University of Glasgow is the fourth oldest university in the English-speaking world. It dates from 1451 when King James II of Scotland persuaded Pope Nicholas V to grant a lead seal, or bull, authorising Bishop William Turnbull of Glasgow to set up a university. For its first nine years, the fledgling university was based at Glasgow Cathedral. In 1460, the University moved to High Street, where, over the next 400 years, it continued to expand both in its scope and size. It was a centre of the both the industrial revolution and the Scottish Enlightenment. As it grew however, the University was restricted by the encroaching overcrowding and squalor of the city and the expanding factories and railways, fruits of the industrial expansion it had helped to shape. As a result, in 1870, it moved to its current familiar west end location at Gilmorehill, then a greenfield site enclosed by a large loop of the River Kelvin. As part of the move, Pearce Lodge and the Lion and Unicorn Staircase were moved stone by stone from the old site to the new and both can still be seen today. Meanwhile, the rest of the campus at Gilmorehill was centred on a neo-Gothic main building designed by Sir George Gilbert Scott; his son John Oldrid Scott, added the spire. From that time on, the University has stood as a landmark across the city, with its distinctive profile silhouetted against the skyline. 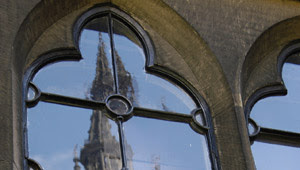 Today, the University of Glasgow is one of the top 100 universities in the world with an international reputation for its research and teaching and an important role in the cultural and commercial life of the country. 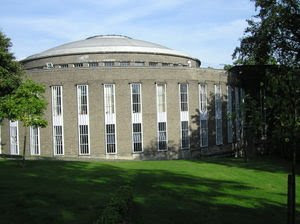 It is one of the UK's largest universities with almost 16,000 undergraduate and 4000 postgraduate students. With over 5000 staff and an annual turnover of £290M University of Glasgow not only becomes a major employer in the city but also make a substantial contribution to the local economy. 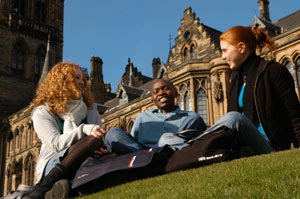 Although firmly rooted in the west of Scotland, the University of Glasgow is nevertheless an international institution, attracting students from 80 countries and sending large numbers of students on study periods abroad. Today the research projects are typically international, with academics from every continent working in Glasgow, while the University's own staff make valued contributions to collaborative work with some 200 institutions around the world. We are one of the top 100 universities in the world (Times Higher World University Rankings 2006). Our teaching quality has been independently rated as among the top ten in the UK and our medical and veterinary schools are consistently rated amongst the best in the UK. We are a major research powerhouse, with our annual research contract income in the top ten of UK universities. Our library is one of the best academic libraries in Europe with over two million books on 12 floors. In the last five years, we have invested £152M in facilities and have appointed over 400 new academic staff, including 68 professors, in our leading academic areas. We plan to invest £300M in the next three years. Established in 1451, we are the fourth oldest university in the UK. Our alumni include Lord Kelvin and Adam Smith as well as, more recently, authors Christopher Brookmyre and William Boyd, actor Gerard Butler and round-the-world yachtswoman Emma Richards. In the most recent independent survey of research quality (RAE 2001), 23 subject areas received the highest quality rating of 5. We are a member of the prestigious Russell Group of major research-led universities and a founder member of Universitas 21, an international grouping of universities dedicated to setting worldwide standards for higher education. We are located in one of the world’s most exciting cities, named as one of the world’s top ten ‘must-see’ destinations by Frommer’s Guides 2006. And, according to yell.com, we have the best student social life in Scotland.